Amazon has dropped the prices on these four Star Wars sets to below $10.00. These sets are all from the newer Star Wars Series 3! 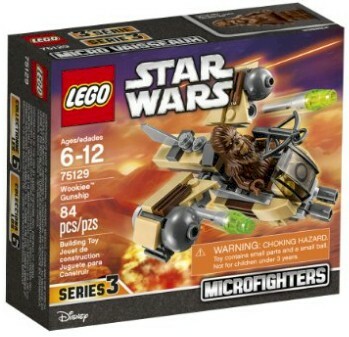 LEGO Star Wars Wookiee Gunship (#75129, 84 pieces) $7.93 with free Prime/SuperSaver shipping. 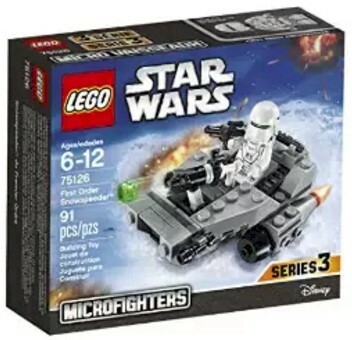 LEGO Star Wars First Order Snowspeeder, (#75126, 91 pieces) $7.99 with free Prime/SuperSaver shipping. 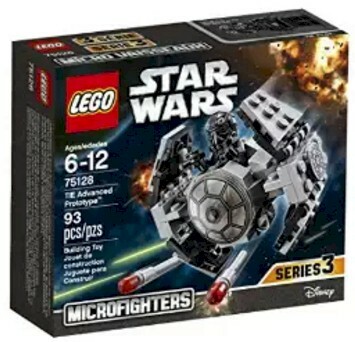 LEGO Star Wars TIE Advanced Prototype, (#75128, 93 pieces) $8.99 with free Prime/SuperSaver shipping. 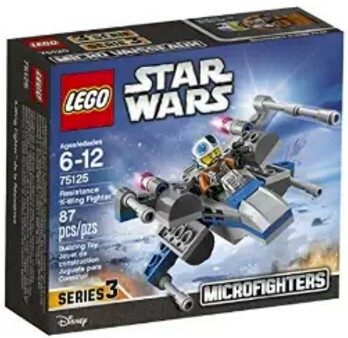 LEGO Star Wars Resistance X-Wing Fighter, , (#75125, 87 pieces), $7.93 with free Prime/SuperSaver shipping.